2017 – Council’s Leadership award for Coverack floods. 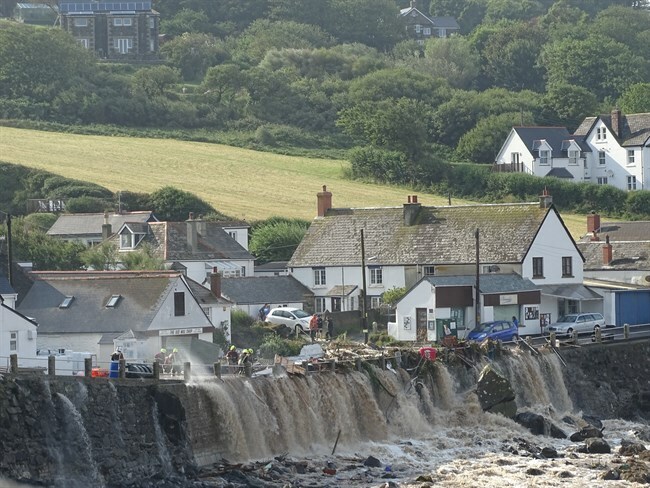 During the flooding at Coverack on 18 July Trisha took the lead for managing both internal and external communication. From the outset there was significant media attention in addition to the demand for information from both Cornwall Council’s political and organisational leadership teams. To ensure that all the right people were kept informed Trisha produced and circulated regular briefings, and on 19 July was on site in Coverack from 5 am to manage the intensive media interest from local, regional and national print and broadcast media. She also supported key members in doing interviews. The award nomination praised her “outstanding work” and concluded “without doubt her efforts ensured the Council was given the high profile it deserved as the professional and responsive organisation it is”. Shortlisted for the ‘LGA Reputation Awards 2013: Communications Team of the Year’. This national award recognises outstanding achievement by a communications team in local government and the wider public sector. Awarded ‘CIPR Partnership Award 2012’ and ‘Cornwall Council Award for Creativity and Innovation 2013’. Trisha received these awards for devising and implementing the Olympic Torch Relay communications strategy. This involved taking the lead in the multi- agency task force set up to co-ordinate Cornwall’s response to the event and dealing with queries from 240 media organisations from around the world. Awarded the ‘CIPR award for Crisis Communications 2011’. Trisha received this national award for the effectiveness of the communication support provided during the floods in Mid Cornwall in 2011. Awarded Cornwall County Council’s first ‘CCC Employee of the Year Award 2007: Pride of Cornwall’. Trisha was given the award for her excellent work in crisis communications in relation to the Foot and Mouth epidemic, the Boscastle floods and the murder of Launceston schoolgirl Caroline Dickinson. The award also recognised her proactive work in providing communications support for the Eclipse, the awarding of World Heritage Site status to Cornish mining industry and the successful campaign to obtain Objective 1 European funding for Cornwall and the Isles of Scilly.